Home Health & Wellness How Do You Respect? Showing respect for yourself tells the world you are worthy of respect. While some think people should simply respect each other, it can be hard to respect another human who most obviously doesn’t show respect for the self. When that happens, when a person is disrespectful toward themselves, it typically translates into how they treat others as well. 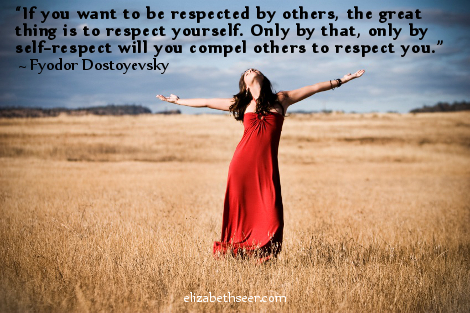 How do you show respect for yourself? Do you take care of the inner and outer self? Do you surround yourself with people who do the same? Do you place yourself in respectful environments with others showing respect toward you? earn respect, love thyself, love yourself, respect yourself, self-respect. Bookmark.